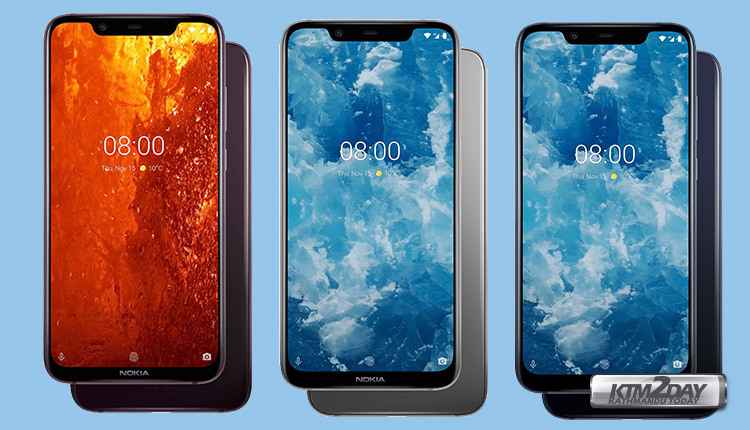 HMD Global on Wednesday launched the successor to the Nokia 7 Plus – the Nokia 8.1 at an event held in Dubai. The key features of the newly launched Nokia 8.1 include 6.18-inch PureDisplay with HDR10 support, its dual rear camera setup with Zeiss optics, the Snapdragon 710 SoC, the fact that it runs on Android 9 Pie, and its 3,500mAh battery with 18W fast charging capabilities. 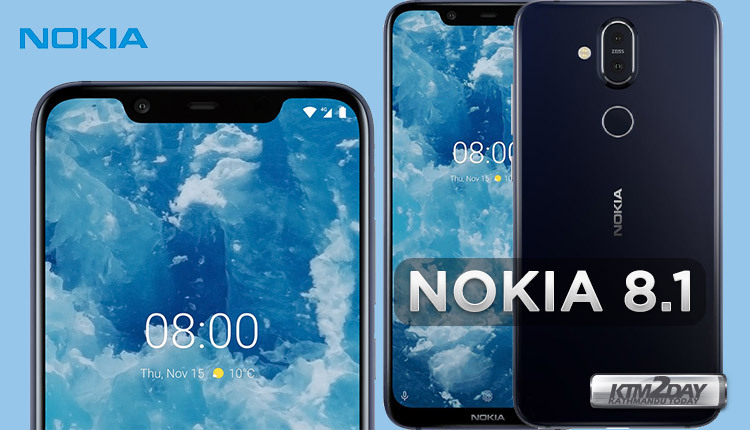 The dual-SIM (Nano) Nokia 8.1 runs stock Android 9 Pie, and as we mentioned, it is part of the Android One programme that is guaranteed to deliver timely updates. It sports a 6.18-inch full-HD+ (1080×2244 pixels) display with a 18.7:9 aspect ratio, 81.5 percent screen-to-body ratio, HDR10 support, 500 nits peak brightness, and is capable of a 96 percent colour gamut. The Nokia 8.1 is powered by an octa-core Qualcomm Snapdragon 710 SoC clocked up to 2.2GHz, coupled with 4GB of LPDDR4x RAM. The Nokia 8.1 bears a dual rear camera setup with Zeiss optics, with the primary 12-megapixel camera featuring a 1/2.55-inch sensor, 1.4-micron pixels, OIS, EIS, 2PD (dual photodiode) tech, and a dual-LED flash. The secondary 13-megapixel fixed-focus lens is meant for depth sensing. At the front, the Nokia 8.1 bears a 20-megapixel fixed focus lens with 0.9-micron pixels, and 4-in-1 pixel tech for better low-light photography. The company is touting its Bothie feature, which allows both the front and rear camera to used simultaneously, as well as its Pro Camera UI, with several manual camera options. The dual rear camera setup will help create portrait shots featuring a bokeh effect, the company said. There is 64GB of inbuilt storage on the Nokia 8.1, expandable via microSD card (up to 400GB). Connectivity options include 4G VoLTE, Wi-Fi 802.11ac, VoWiFi, Bluetooth v5.0, GPS/ A-GPS, FM radio, a 3.5mm headphone jack, and USB Type-C port. The Nokia 8.1 runs on a 3,500mAh battery that is rated to deliver up to 22 hours of talk time, 24 days of standby time, and up to 11 hours of video playback. The company is also touting the presence of 18W fast charging. It features a single speaker design, and also comes with a smart amp, 2 mics, and Nokia Ozo surround capture. HMD Global also points out that the Nokia 8.1 has Google ARCore support. The Nokia 8.1 will be available globally in mid-December at a price of €400(~NRs.51,200). More Features – Aluminium Alloy Body, Notch Display, LTE, Dual-Band Wi-Fi, Oreo OS, FHD+ Display, Dual Camera, GPS, GLONASS, BDS, Bluetooth, Dual-Band Wi-Fi, USB Type-C, Fast Charging Technology, NFC, VoLTE.